Well speaking of Japan, this month marks my 1st anniversary visiting this beautiful favorite country and can't believe how time just flew by just like that. Last year alone, during this period had a whirlpool of my life from loosing my full time job because the company decided to close down, to being scammed for my first overseas cosplay guest appearance gig in Bali, but not all of them are horrid! Every dark cloud has its silver linings, mine was i got to meet Daisuke salon (went total blonde! 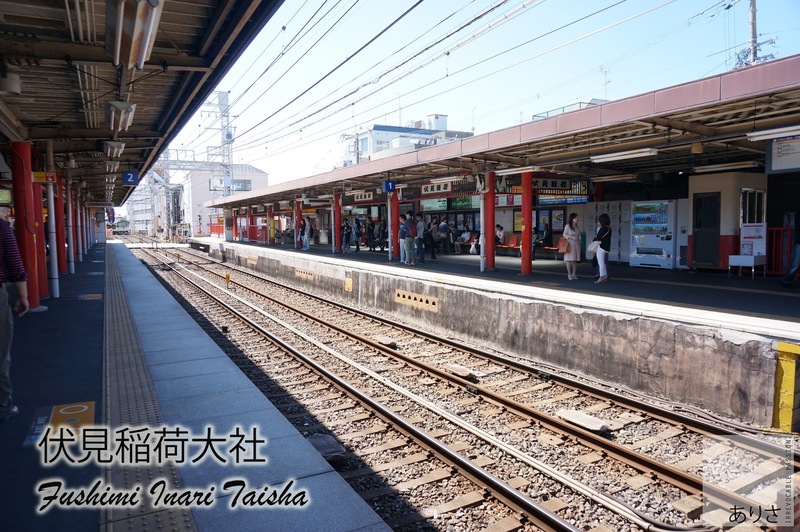 ), witness (ex) あなた’s Iaido grading and finally crossed visiting Japan out of my travel bucket list despite having last minute problems with flight and accommodation. Okay back from off topic, now back to Kyoto people lol! Spent practically almost a week in Tokyo before heading down south to Kansai region via shinkansen (we briefly stopped by Nagoya on the way) as our flight home was from Osaka airport, it was あなた’s planning so at least we got to visit famous places like 伏見稲荷大社 (Fushimi Inari Taisha) before heading home. Looking back, i kinda feel bad that he had to do all the planning as i was a total noob when it comes to traveling and the worst part is i could barely speak nor read the language, well after a couple of months attending Japanese night classes, i am glad that i am able to read better now but still not so confident with the speech section as my grammar needs brushing up lol. Please don't laugh when you hear me speak Japanese like a timid mouse lol, shy die me everytime i have to open my mouth. Probably my friends are right when they say, date Japanese guy confirm your speaking skills will improve alot haha, or it's just a joke so who knows? 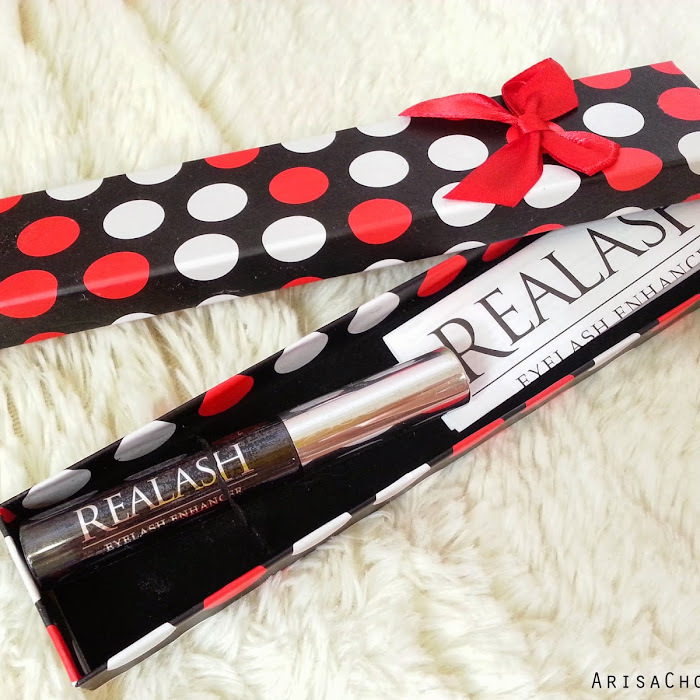 But doubt any of them wants a 2-in-1 package lol, destined to be #foreveralone la, time for me to face the damn fact. 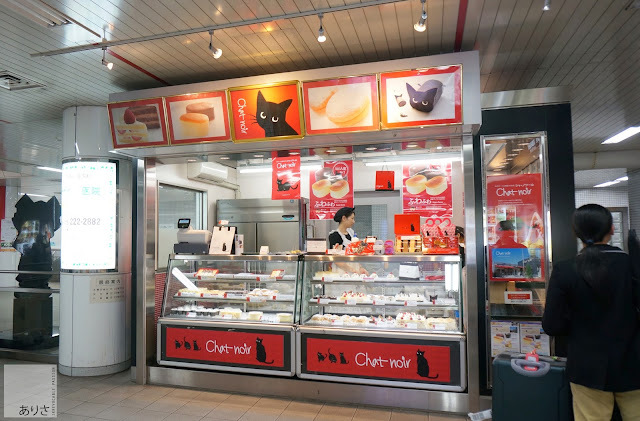 After passing by so many dessert stalls, there's one that caught my attention just because it has a cat design logo on it lol. Easiest way to grab my attention and money is definitely cats (meow), well they don't serve your traditional Kyoto flavored desserts since the name itself already indicates it's French inspired (Chat Nior = Black Cat in French) but they do have the usual kind of cakes like strawberry shortcakes, hanjuku cheesecake, chocolate swiss rolls except presentation wise they all look like cats! 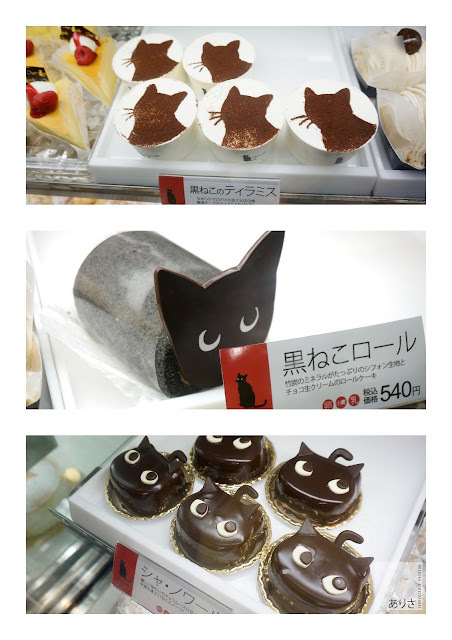 The reason why we were slightly late in reaching our destination was because of desserts lol, for Chat noir i couldn't decided which dessert to try since they all look so good. Think my main food problem in Japan is not because i fussy about the calorie count but it's because of the amazing presentation skills displayed by the Japanese that makes one feel so damn guilty for even thinking of eating it! 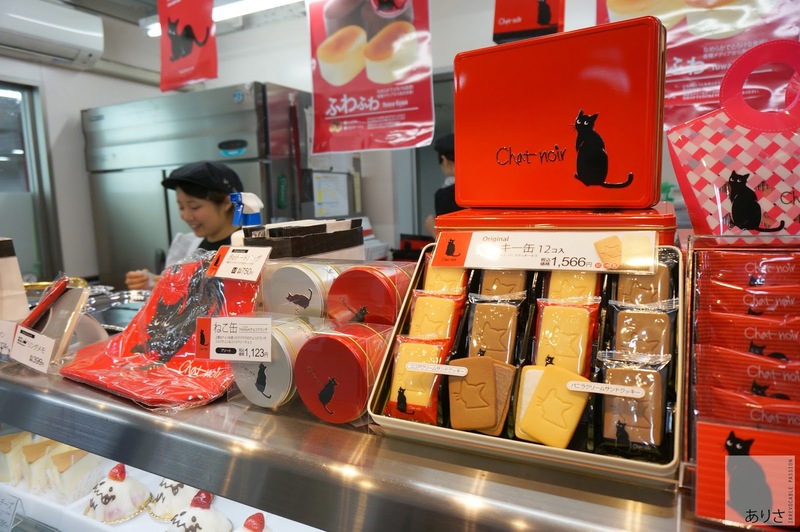 Between the chocolate cake or tiramisu or the cookies (because it comes in cute tin packaging) took me quite while even after trying to get あなた to make the decision for me, guess in the end he got kinda fed up because i was too fickle minded haha. So he got the tiramisu and a tin of cookies for us to enjoy once we reach our destination for the night. Okay la, he might not show much affection (typical Asian) but at least he knows how to make a girl smile with food lol. It's good to have guy companions around at times for faster decision making since their brain functions as a one way street compared to us girls who end up thinking of sub-possibilities even though it's not so relevant at that point of time. Tell me how to decide like this?? Highly recommend the Tiramisu, it's heavenly with a perfect ratio of soaked coffee cake and cream. Doubt it's alcoholic because it doesn't reek of the usual rum. Our stay in Kyoto was also booked through Airbnb (super affordable) but our encounter this time wasn't the same as our stay in Saitama with Taka & Yuko-san. We did not get to meet the host of this unit at all, our only means of communication was through the Airbnb message box when we first arrived in Kyoto on our 6th day in Japan, which was rather difficult for me since i had to rely on あなた’s hotspot to get internet connection, well this trip to Japan alone has taught me the importance of investing in a portable WiFi. The owner of this strategic located small apartment (really, really small! ), Yuichi-san was pretty helpful and responsive to all my inquires and he replies in fluent English too! Usually for Airbnb, not all hosts speaks/ writes good English but most of the time it's understandable despite it being obvious it was google translated lol. Per night it's about RM200+ and the room is able to fit 2 people comfortably, so the cost breakdown is about RM100 per person compared to our stay in Saitama which was only RM30+ per person since it was located at the outskirt area of Tokyo, price difference pretty vast eh? Comparing the prices of our room to the other listings in Airbnb Kyoto, we pretty much got ourselves a good deal as it's strategically located without the cost being too cut-throat lol. 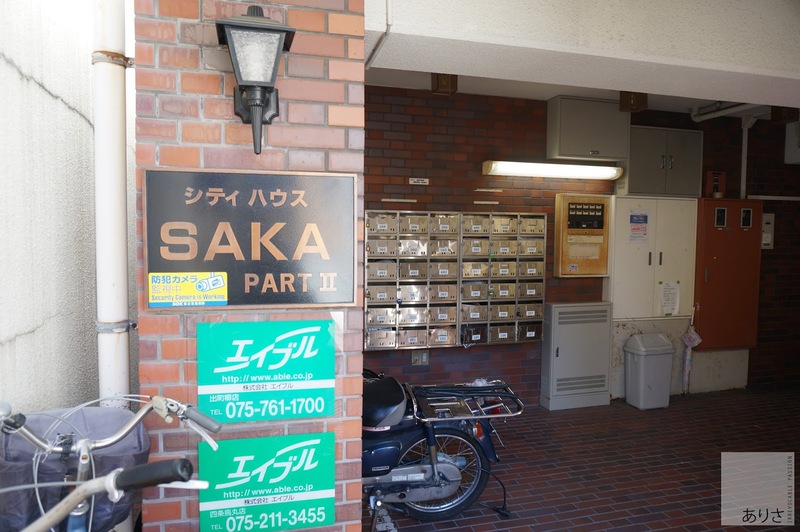 It wasn't too hard to find the place since the address and instruction from Yuichi-san was pretty straightforward. 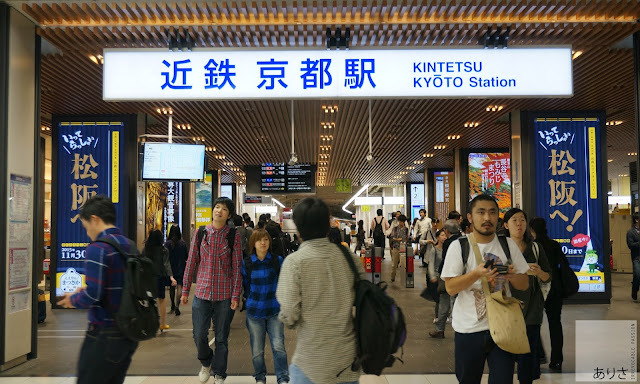 From Kyoto Central station itself, takes about 5-10 minutes walk to the apartment, i would highly recommend this location for those who are visiting Kyoto since it's centralized, you are pretty much close to everything already. Walking distance to Gion District (Geisha/Maiko spotting area), famous Nishiki Market where you can get first hand experience on their fresh produce and of course there's a list of nearby notable shrines you can visit too. As for me my main interest and purpose in Kyoto was to visit the legendary Fushimi Inari Taisha, though あなた has already visited the place a year before that. 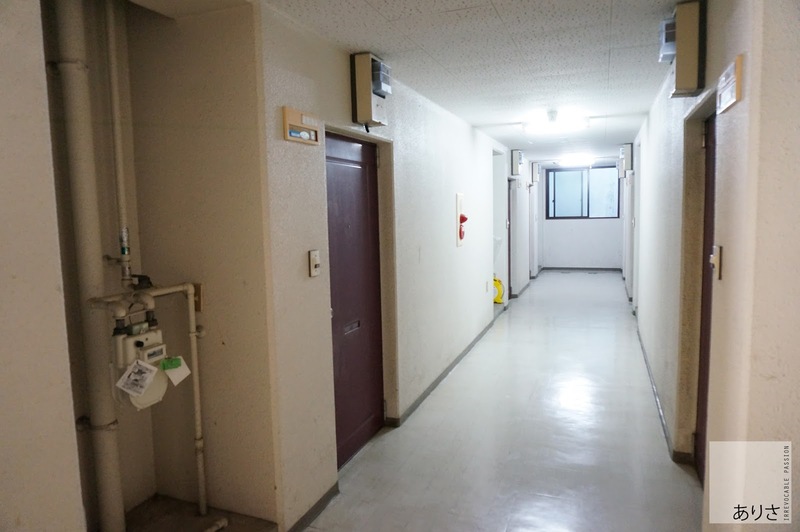 I am actually amazed at the sizes of these common one room apartments in Japan, it's practically 200x200 sqf per unit inclusive of the kitchen and toilet area that can still fit a bathtub by the way! Malaysian developers and architectures really do need to learn from the Japanese especially when it comes to cost and space efficient places like these that would definitely make living expenses for us single people who values privacy a lil more affordable. Have you seen the prices of our studio units in Malaysia? Makes me wonder how the heck to they expect a single income person to be able to afford such rent unless they are rich people la. Our booking came with a portable WiFi, you can't imagine how happy i was to see it lol it's like finally there's internet! Though it has a daily quota of couple of hundred MB before resetting for the following day, guess it's meant for emergency usage as they expect travelers to come prepared with their own. 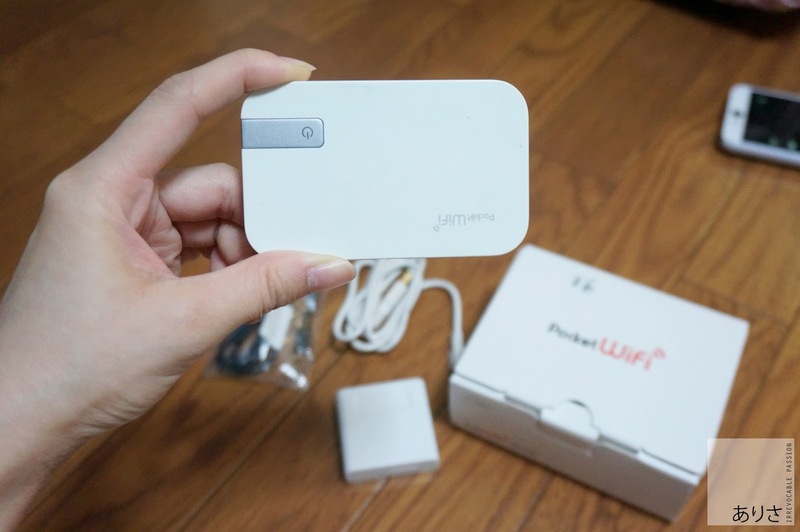 This portable pocket WiFi looks exactly like a powerbank so expect its lifespan to also last around the same, it would run for probably half a day before it runs out of juice or quota (either one, this piece would be useless already) and i found out only the following day after the argument あなた and i had before both of us parted ways leaving me with no way to contact him since this pocket WiFi ran out of power -_- cilaka betul. Obtaining our key without meeting Yuichi-san felt like we were on some RPG quest or some sort lol, all he left us was a note on how to find the key, it's hidden somewhere around the corridor. No stove but sink and fridge is available alongside with disposable paper plates, cups and culinary. 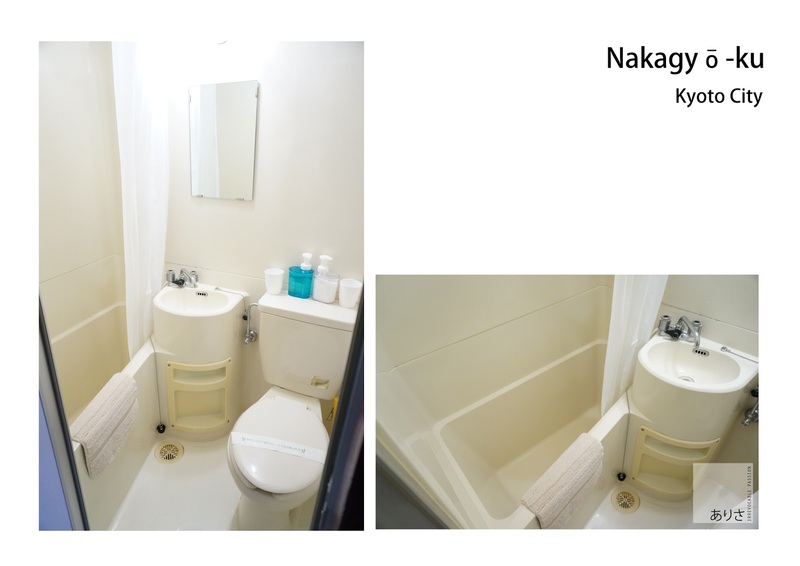 I can fit my whole body in without a problem (i'm 165cm by the way) it's nice to have a long hot soak after traveling for almost the whole day from Tokyo to Nagoya and last destination Kyoto. I currently have a bathtub in my house, but big ones takes up too much water to fill which is such a waste really and my heater isn't all that hot either so no point soaking in lukewarm water lel ._. 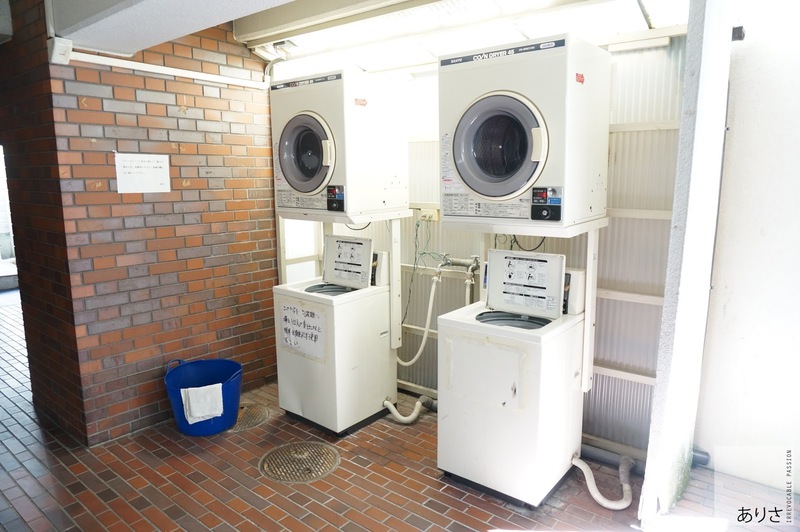 This place even comes with a washing machine! How many of you prefer to do your laundry during your travels? I honestly prefer to do it only when i get home unless it's an emergency like i don't have enough clean clothes lol but in Japan if you under-pack, it just gives you more reason to shop for new clothes haha. 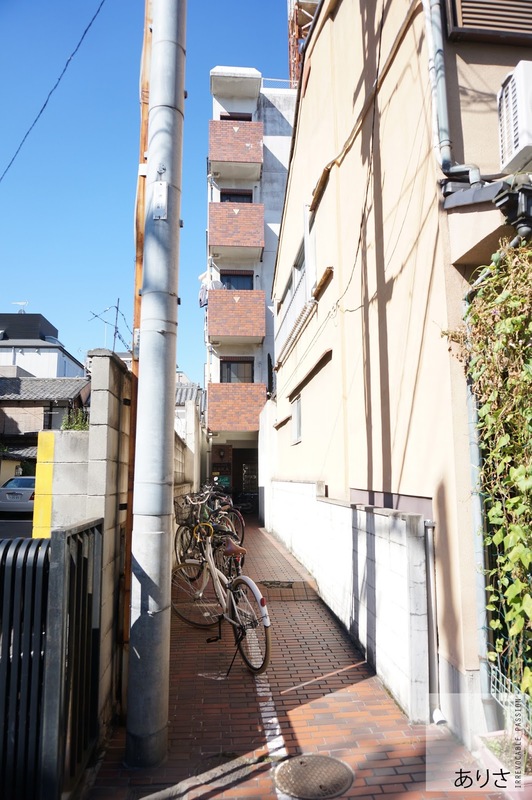 Easily missed or overlooked, but with google maps you wouldn't miss this small alley that leads into the apartment unit. It's been a long day for us, so we left discovering this area for the following day since we gotta head out early to catch the train to Fushimi Inari Taisha, according to あなた we'll end up spending the whole day at that area alone just trekking up the mountain lol, if i have know the exact distance it takes to trek from the bottom of the shrine all the way to the top and back down again, think i would have chicken out like the rest of my friends who only made it half way before giving up. Maybe it was because i was partially angry, so i needed this hike to cool off some steam but little did i know i got more than i bargained for lol. Will definitely come out with a list of things to do around Kyoto central for those planning to stay here or nearby so it would be an easy directory for you guys. It involves tons of walking, so make sure to have some comfortable shoes on standby! 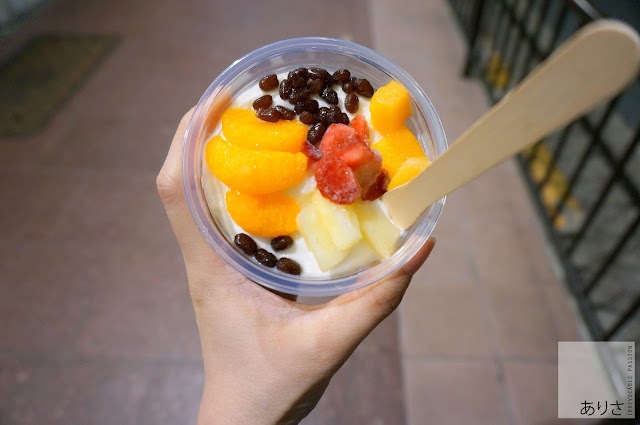 For tonight this is just my short review on Yuichi-san's comfortable apartment and random talk about dessert because i am totally craving for some right now *sobs*, can someone just send me back to Japan already? In Japan, everyday was ice-cream/ kakigori day for me even though it's freaking cold lol. Off to Fushimi Inari Taisha we go! Hopefully we will be blessed with more travel opportunities to come and i'll definitely will be back again this year to give thanks for everything that has happened this year for both good and bad. 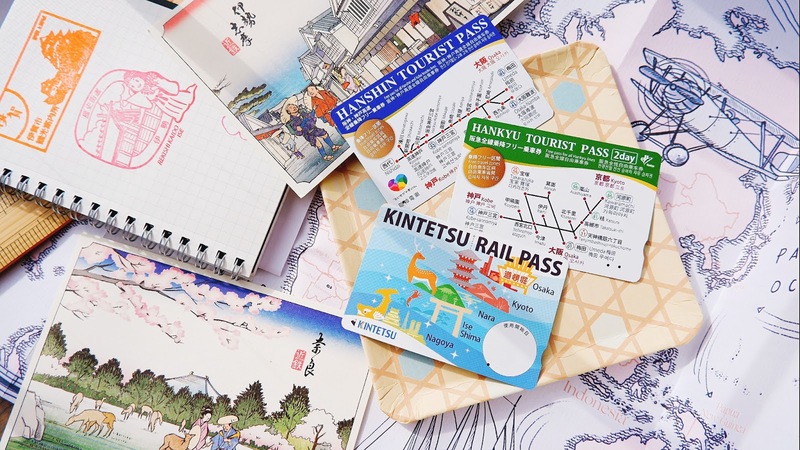 In case you guys were wondering if it was painful for me to write about my travels with あなた, i can assure it it doesn't hurt a single bit but it does make me rather melancholy just looking back at all our photos. I am grateful for the memories we created together, the times he put up with me as a terrible travel buddy, but all those things have come to an end. So let's not let the past haunt us, but take it as a learning stepping stone for to be a better person. 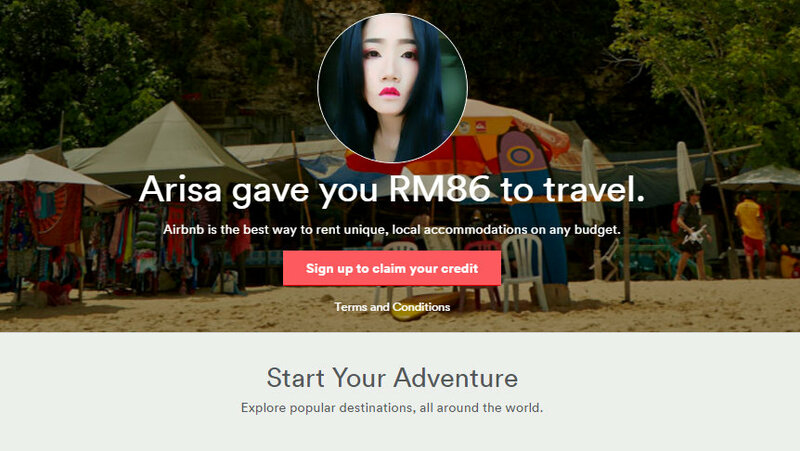 Thanks for sharing the Airbnb discount code. I have been told about it and tried searching all over the internet for the code. nice post. you made me miss Japan a lot. and talking about blogger drama it was entertaining though..
Awh thanks for the discount code babe - I have using Airbnb for awhile now. Totally missing the vibe in Japan, should definitely plan another visit there some time soon. OK...let me see where should I start off, the kitty dessert!! OMG i'm totally on your side, I would have never been able to pick one. 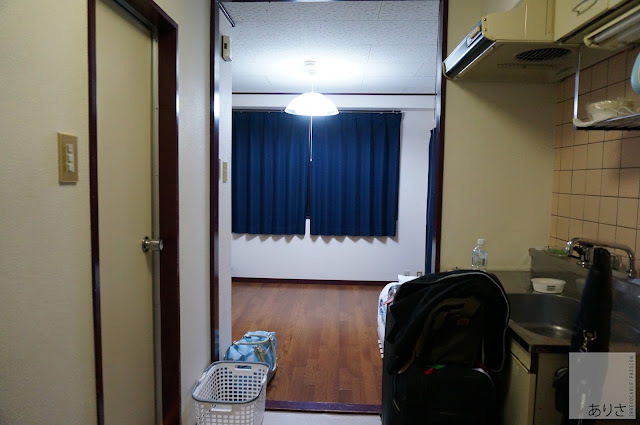 Then that unit that you stayed at, wow it's really tiny and yet like you said, all essentials are there! Thanks dear for this post! will be waiting for more updates! 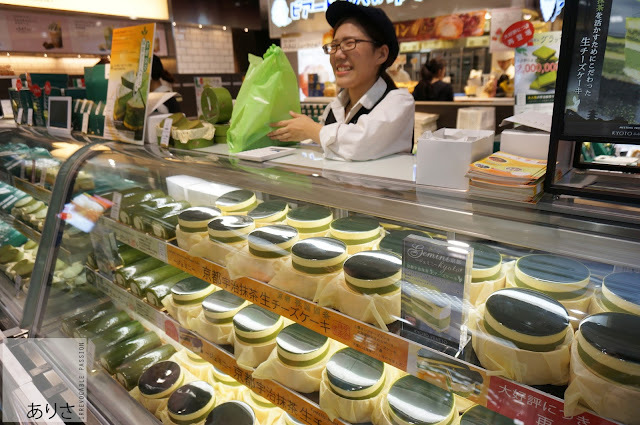 Gemini Matcha Cheesecake looks delicious. Will try it out on my next trip. I love Kyoto too, I wish I can spent more time there but I cant take long leave from work. 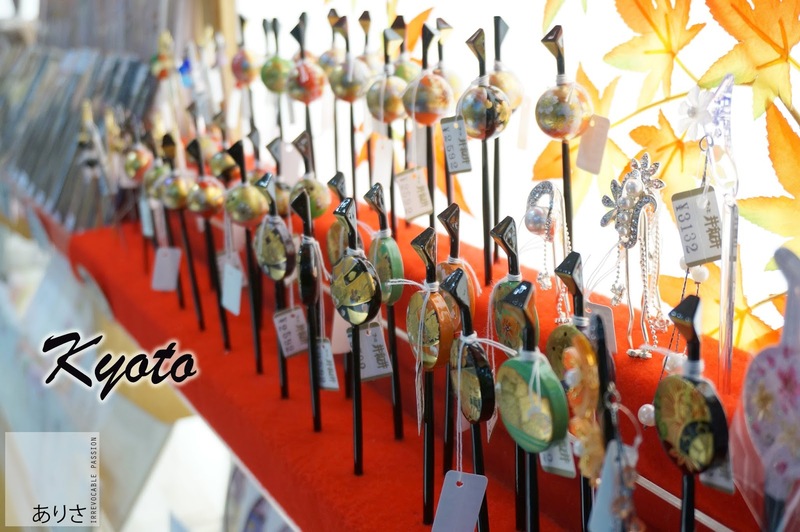 I plan to take my mon to Japan again maybe during spring. She loves sakura.